Grantown-on-Spey the capital of the Strathspey, is now at the heart of some of the finest walking in the Cairngorm National Park. 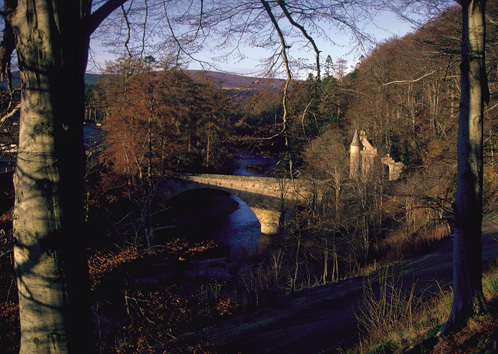 The walks range from long distance footpaths, forest walks packed with wildlife, foothills of the Cairngorms and for the more adventurous the main Cairngorm range is also close at hand. Running from Buckie to Aviemore the route follows the valley of the River Spey and passes through the heart of Grantown-on-Spey. The main walk is 104km’s long and with two extensions the distance increases to 135km. Grantown is at the centre of the walk and is a great location to head off and explore other walks. If you prefer two wheels it is also a great mountain bike route. A recently completed footpath the Dava Way extends from Forres on the Moray Coast to Grantown-on-Spey. It is 36km long and can be completed on foot or on mountain bike. The route passes over the Dava More and follows the old Highland Railway line. The Dava More hosts a variety of wildlife including Ospreys and Short Eared Owls. 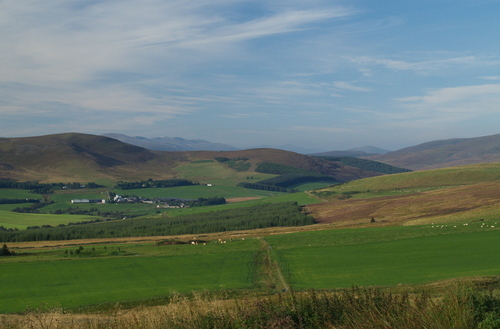 To the east of Grantown-on-Spey and only 8km away are the Cromdale Hills. At 700m above sea level these beautiful hills offer easy walking on a rounded ridge line and provide stunning views of the Cairngorms and the surrounding area right up to the Moray coast. This small range of hills can be reached from Grantown providing a full day circular walk. For shorter days a 10min drive gives access to the hills. The Cairngorm plateau is only a 40 minute drive away. Starting at 700m above sea level you can reach the main summits within 2 hours steady walking. There are enough Munros and Corbetts to keep the most ardent bagger happy. For the less adventurous there are extensive walks in the surrounding forests with the two hour walk around Loch an Eilein as one of the best. This is a most beautiful loch and has been recently voted as one of the top picnic sites in the country.